I have been shopping at the supermarket for years. I like the convenience of having all the items I need in one place. Brooklyn supermarket is a prime example with foods ranging from freshly produced fruits and vegetables to the frozen remains of slaughtered animals. It is a great business idea to have everything in one place and ‘food stores’ such as Empire supermarket and MegaMart appear to be thriving through the implementation of this idea. Usually convenience comes at a cost, and in this case the cost is great! Shopping for a two week supply of food at any of these ‘one stop shops’ at times produce a bill of over 14,000 JMD and that is just for me (no I am not fat). I have come to realize that shopping at these superstores is like cutting a hole in my pocket before pouring in the money. Given the sliding dollar and the climbing cost of living, I had to find a way to ‘mek the dolla stretch’. Women have generally been good at ‘stretching’ the dollar and I still don’t know how my granny fed so many with so little, only Jesus knows. Many suggestions from female friends have indicated that shopping at the Downtown market will save me loads in cash. The question was, would the possible savings at downtown compensate for the risk! But then again, what’s the worst that could happen in Downtown? I decided to give this market thing a try just to see what the savings are like. 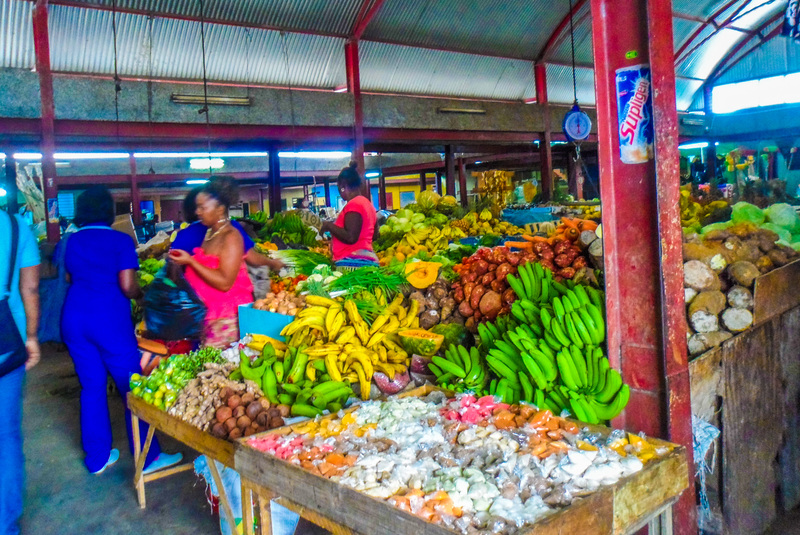 I shopped at the supermarket only for items I simply could not find at the market and completed my shopping at the Papine market. l stopped and viewed their very presentable display then started to pick up random foods. I got a pound of yellow yam, a few sweet potatoes (which I used to make a mean potato pudding, I’ll share the recipe soon) onions, scallion, thyme, tomatoes, a sweet pepper and some ackee. Some quick calculations revealed the total. I thought for a second she made an error but she turned out to be sharper mathematician than I was. I gave her $700 and fumbled through my wallet for the remaining $30. So there I got a discount without asking for it. Try getting such a deal at a supermarket. 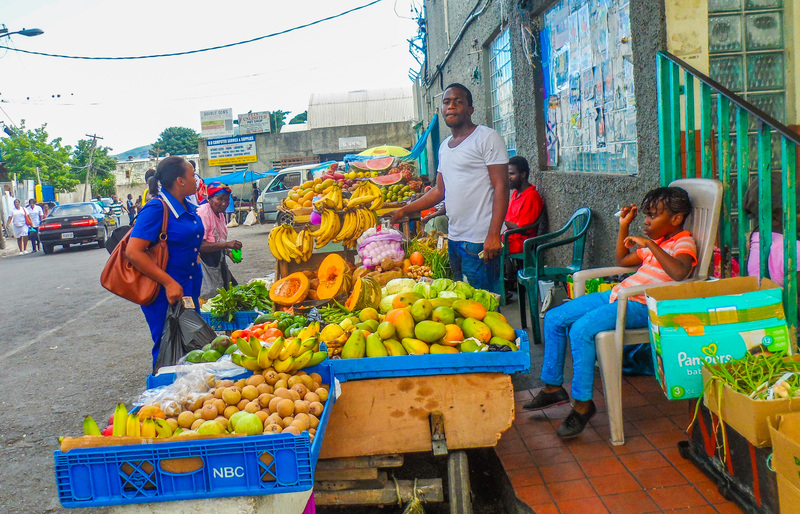 l went to another seller to get some fruits as the couple were the Ground provision and vegetables specialists. I stopped at another lady’s booth where I saw a freshly cut melon. I asked the price and expressed my interest in purchasing. To my surprise she told me it’s not so sweet and she doesn’t recommend it! Amazed! So I saved quite a bit of cash and I had fresh fruits and vegetables. That’s what I call a win win. They now have themselves a life long customer. You may think I am strange for not knowing this sooner but I’m sure there are others locked in the closet of convenience as I was, suffocating due to the smoke of their burning cash. Please form a mutually beneficial relationship with our farmers, support them and save. It’s time we stopped purchasing high priced imported foods which are easily accessible locally for much less.